On Thursday some friends generously gifted us with a bounty of some variety of heirloom summer squash, which was great, except I tend to dislike squash. 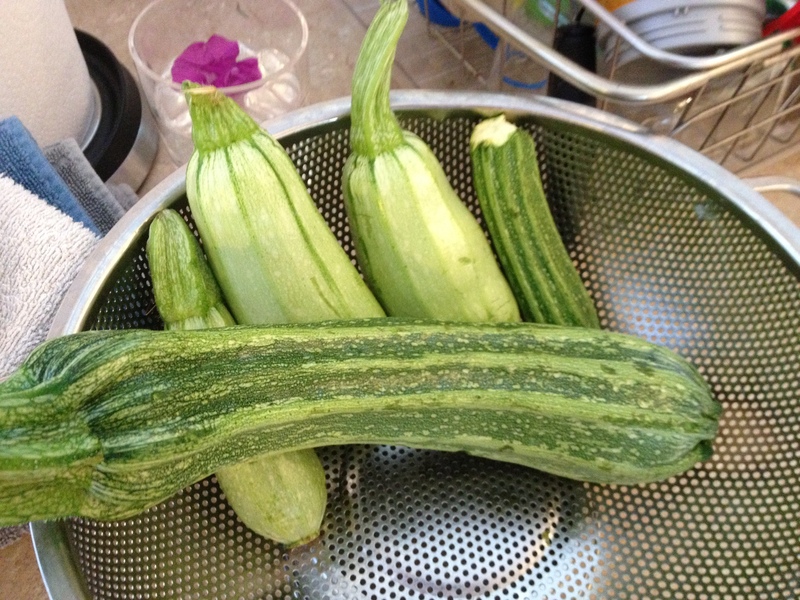 Throwing them out seemed wasteful (the photo below shows slightly over half of the remaining bounty), giving them away seemed unlikely (most of our friends are growing something! ), so that left eating them – but how?! I mentioned my dilemma to an internet friend who is far more creative in her vegetable endeavors than I tend to be. After the usual ideas of mashing/pureeing, grilling, or baking, she suggested baked squash chips with salt and Parmesan, or using them as a pasta substitute. 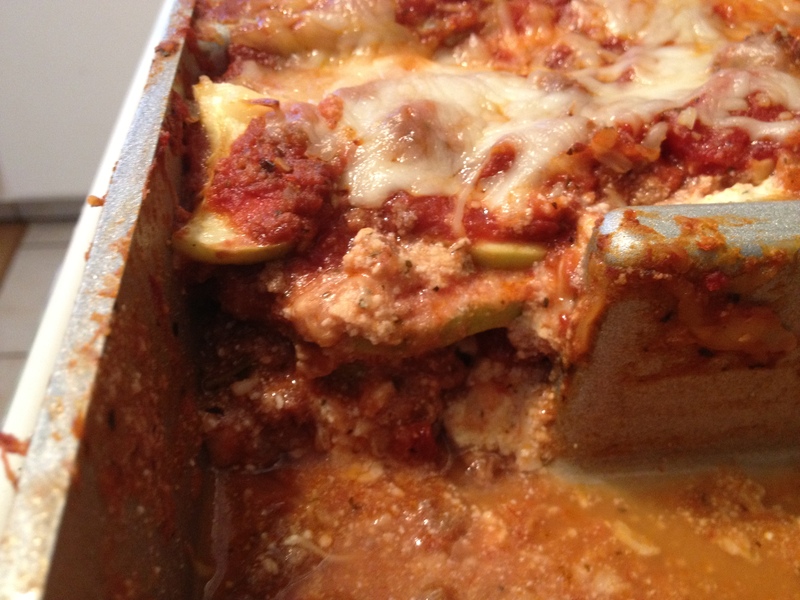 A quick google search turned up several squash lasagna recipes that were a little too vegetarian (or worse yet, vegan) for my liking. I didn’t want the squash to star in the dish, I wanted them to behave the way noodles do – to help make lovely layers of meat sauce and cheese. 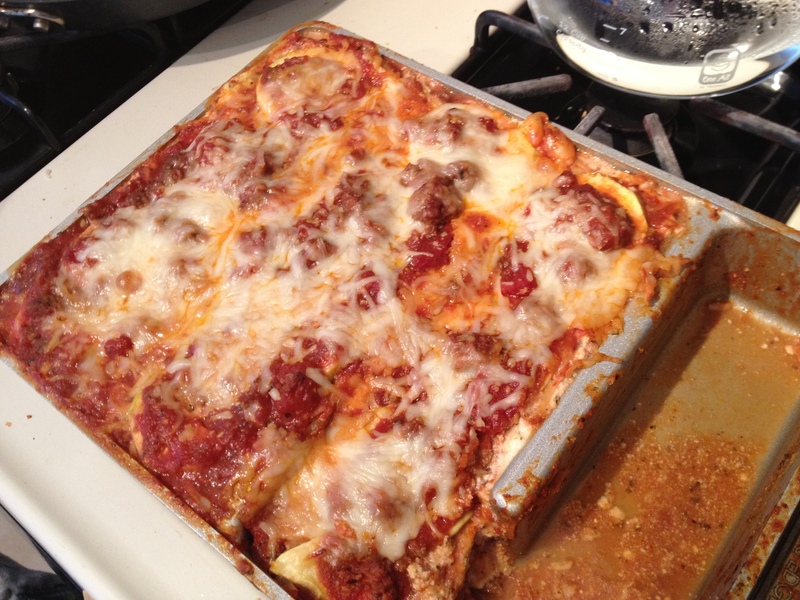 I wanted it to look (and ideally taste) like a “normal” lasagna, and I think I mostly succeeded. I peeled the squash, sliced it into 1/4 inch thick rounds on the mandolin, and swapped out the pasta for squash in my favorite lasagna recipe (the one that works in my awesome edge pan), and it mostly worked. The modified recipe was far more liquid than the normal one, but the flavor was pretty spot-on. I think I’ll keep the recipe in mind in case we’re ever generously gifted more squash, and figure out how to tweak it so there’s less liquid, but once we finish the leftovers from this evenings meal, it seems unlikely to grace our table again for some time.